A nobleman’s spare should be glad to be recalled from obscurity, but Lir had doubts about leaving a life he built on skill for a position based only on his bloodline even before the mercenary attack. When the troll proves the road as treacherous as the destination, he agrees to take his former enemy as protector. Despite their troubled beginnings, Lir saves her erstwhile lover’s life. When her lover blames her for the failed ambush and ends their relationship, Lir helps her navigate the situation, but on the open road where loss isn’t the only thing stalking her, will Lir’s company be enough support to replace her crew and counter her grief? 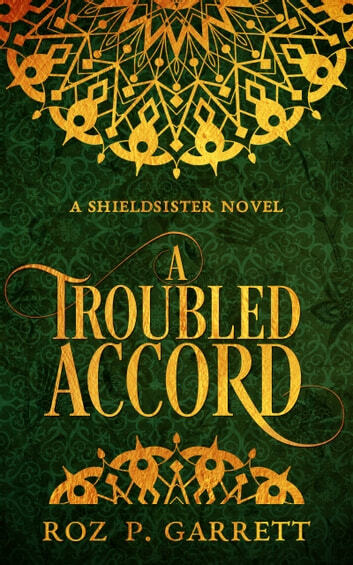 A TROUBLED ACCORD is the first novel in the Shieldsister series. 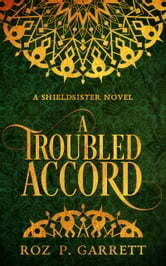 This fantasy romance is a sword and sorcery tale appropriate for fans of KUSHIEL’S DART and OGLAF. Put this steamy adventure in your questlog today! What a fantastic start to what is sure to be an amazing series. I love the build up of the main characters. They are fantastic and I can’t wait to learn more about them as the series grows. Lots of suspense, fighting, sword play and some really hot moments. Highly recommend this new series! Can’t wait for book 2!